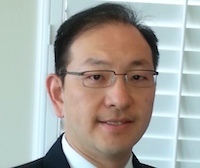 Dr. Lin is a graduate of UC Berkeley School of Optometry. He completed undergraduate studies at UCLA with a Bachelors Degree in Physiology. He has been in private practice for over 17 years. 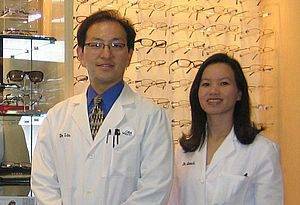 He served as the current President of the Mojave Desert Optometric Society, also a member of The American Optometric Association, California Optometric Association, Sight for Students, and VSP. He has traveled to Brazil, Mexico, and Philippines in providing eyecare for the indigent. In his free time, he enjoys mountain biking, hiking, dragon boat racing and traveling with his wife Dr. Quach and two children. 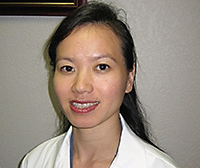 Dr. Quach is a graduate of Indiana University School of Optometry with Beta Sigma Kappa honors and Loyola Marymount University with a Bachelors Degree in Biology. She spent time in central Mexico serving the indigent. She served as a Captain in the Air Force, where she provided vision for military pilots and other airmen. She is a member of the California Optometric Association, American Optometric Association, and VSP. She enjoys outdoor activities and spending time with family on Disney Vacation Club Holidays.